Patients complaining of right side neck pain often wonder if there is any special relevance to their unilateral symptoms which exist purely on the right hand side of the body. The anatomy of the neck is very complicated, featuring skeletal, soft tissue, neurological, glandular and circulatory structures all enclosed in a tiny area. Adding more concern to right side pain is the fact that most of these structures are crucial for survival. In all cases, unexplained neck pain should always be reported to your doctor and evaluated by an expert to be sure that there is nothing truly serious going on in the affected area. This discussion centers attention on the right side of the cervical spinal anatomy and helps explain symptoms expressed therein. 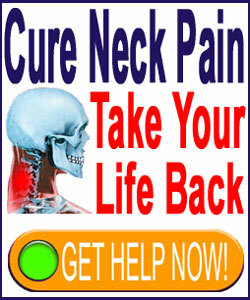 The right side of the neck is still a general description of various places where symptoms may reside. Pain can exist on the right side in the front of the neck only, in the back of the neck only or on the true side of the neck. Obviously, most true neck pain syndromes exist from the midline of the ear back to the center of the spine, affecting the neck muscles, ligaments, tendons and possible spinal components themselves. Frontal neck pain is rarely considered true neck pain, but instead is deemed throat pain in most patients. Frontal or side symptoms may involve muscles, ligaments or tendons, as well, but may affect vascular tissues, such as the carotid artery or jugular vein. The esophagus may be the culprit, as may any of the various glandular structures in the region. Patients with these types of pains must see their doctor to begin the diagnostic process immediately, especially if the symptoms are severe. Rear right sided neck ache is considered dorsopathy. These conditions may be sourced from minor or significant soft tissue injuries, over-exertions or repetitive stress issues. They may also be linked to regular or occasional headaches on the same side, particularly the tension variety. Pain may exist due to spinal sources, such as herniated discs in the cervical spine or any of the degenerative conditions commonly found here, including facet joint hypertrophy or osteoarthritis in the neck. Finally, ischemic issues, often related to stress or a psychoemotional causation, can strike anywhere in the neck, with the rear right side being very common for symptomatic expression. In true dorsopathy conditions, there is usually little relevance to what side the symptoms occur. They may stay put or may move about, even from left to right on occasion. I have personally had this type of pain in my neck in recent years, often alternating between right and left, just off center of the spine and radiating down into the shoulder scapular on either side. Regardless of whether your pain is right sided or left sided, your primary goal should always be to achieve an accurate diagnosis of the true source and then research treatment options carefully until you find the best and most indicated for your particular source of suffering. Remember that neck pain diagnosis can be a very inexact science, so always learn as much as possible about your theorized condition and compare it to your present symptoms to improve your chances of avoiding misdiagnosis and subsequent failure of whatever treatment you may choose.